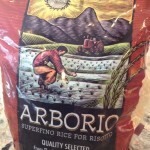 Risotto is one of Italy’s best known culinary classics and for good reason! It is terrific! 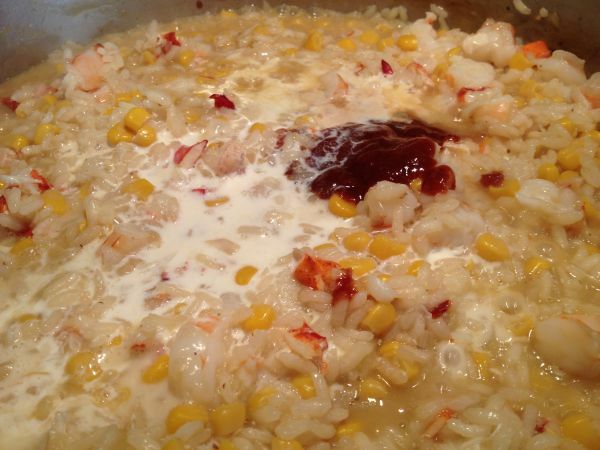 This famous rice dish comes in many flavors, but the rice and technique remain the same to produce this delicious dish. 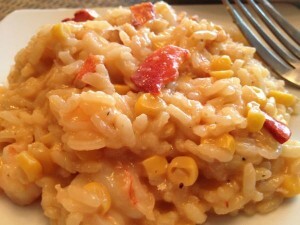 Risotto is a class of Italian rice dishes cooked in broth to a creamy consistency. Many types of risotto contain butter, wine and onion. We are big fans and change it up based on seasonal ingredients and whatever I happen to have on hand in my fridge, pantry or freezer! 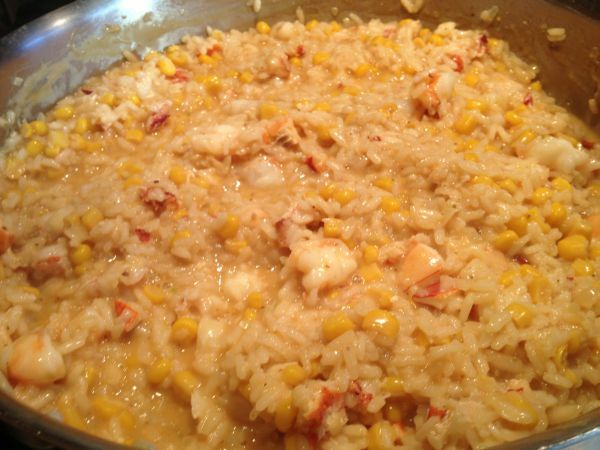 In Italy, risotto is often served as a first course, but depending on what you put in it, it can surely be eaten as a main dish! 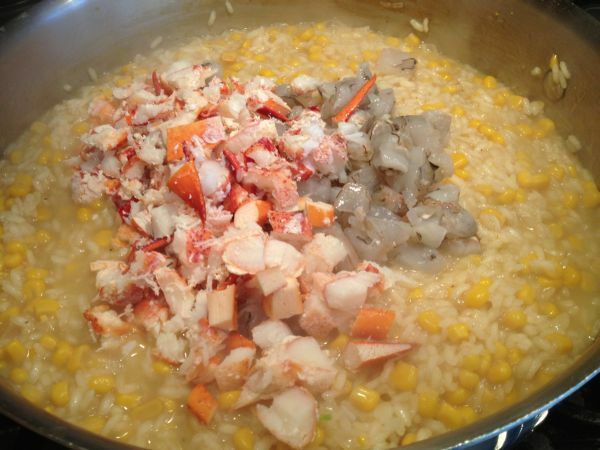 Bill’s been wanting to eat up the remaining lobster claws I’ve had in the freezer that I had picked up at Costco, so I came up with this delicious variety for our dinner the other night. It was very tasty and delicious! 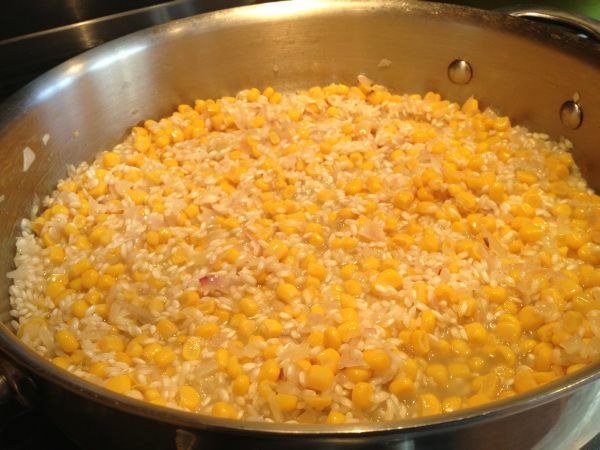 Just know that the rice in risotto takes a good 40 minutes to cook, so be sure and allow yourself enough time for the other preparations when planning your meal. 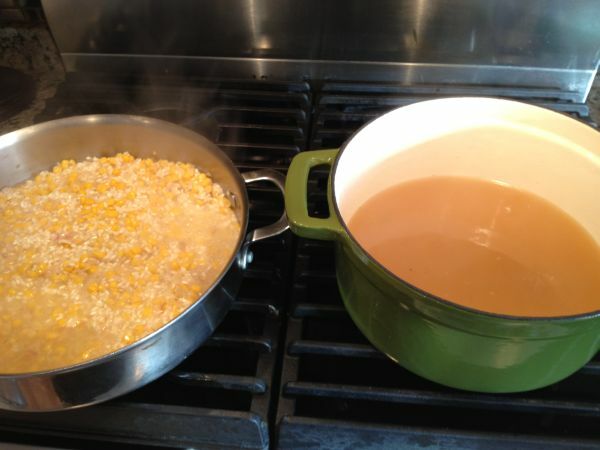 Start by heating the stock on medium heat but under a boil. 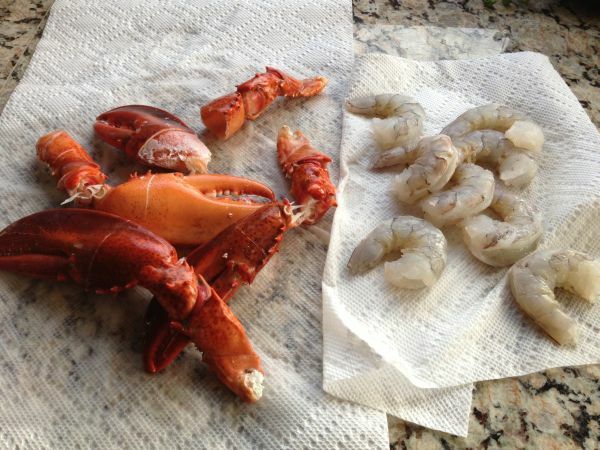 If Lobster claws and shrimp is frozen begin thawing them by placing in bowl of cool warm water. Once thawed, peel and discard shells and de-vein shrimp if necessary. The lobster and shrimp should be roughly chopped into equal sized pieces. 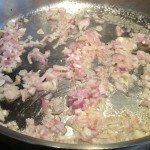 Heat the butter and oil in pan that has at least four inch sides and add scallions. 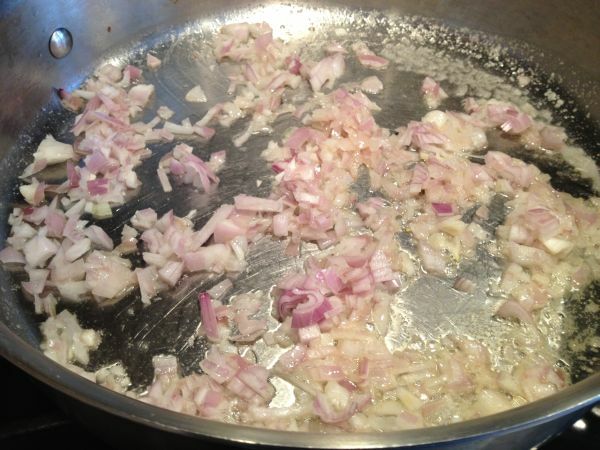 Saute them three to four minutes over medium heat; until they become somewhat soft. 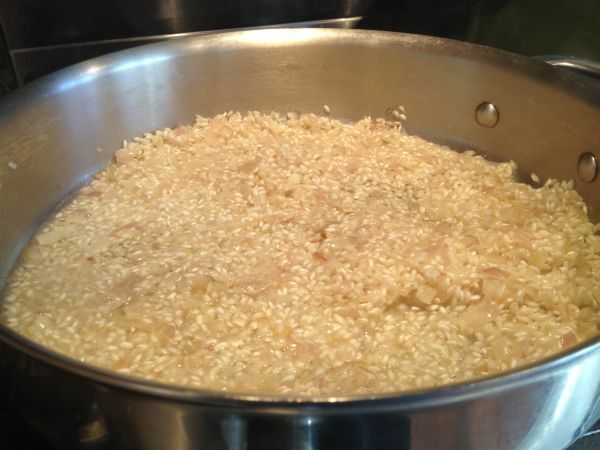 Add rice, stir to coat well and continue sauteing and stirring until rice has absorbed the oil and appears translucent around the edges. White spots will appear in the center of each grain. (This takes approximately three minutes or so). Lower heat to medium-low and add the wine. 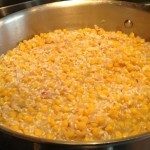 Simmer and stir until wine is absorbed into rice and then stir in cut corn. 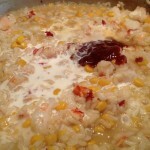 Begin adding the hot stock into rice by the ladle full (about a 1/2 cup at a time). 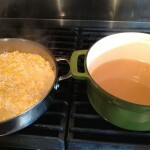 Stir consistently as broth is absorbed. 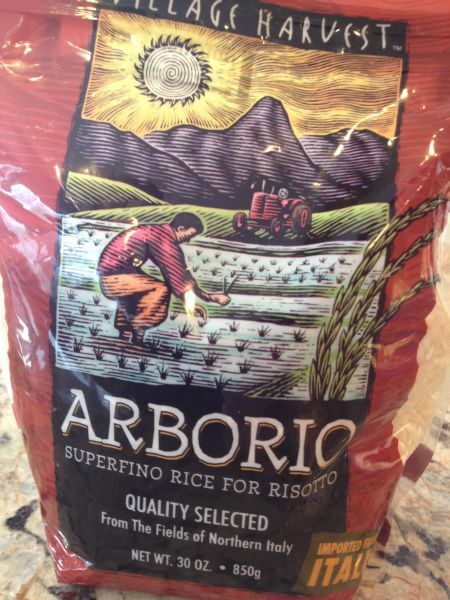 Don’t let the risotto get too soupy or too dry. Continue adding broth in this manner and stirring until rice is almost tender for about 20 minutes. 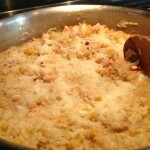 Just before rice reaches al dente texture, lower heat to simmer, stir in lobster and shrimp. 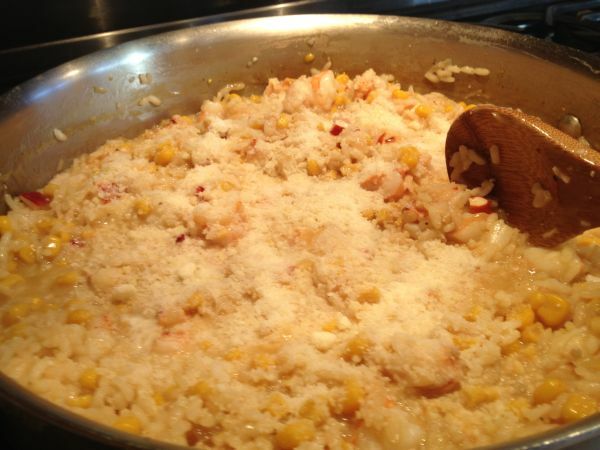 Cook another five minutes until rice is al dente and shrimp is no longer translucent and have become opaque. Turn off heat. 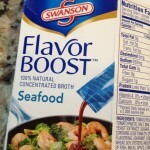 Stir in salt and pepper to taste, half and half, seafood boost packets and the cheese. If it becomes too thick, add additional broth. 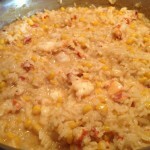 Cover and allow to rest for a few minutes so that the flavors blend. Stir and serve! 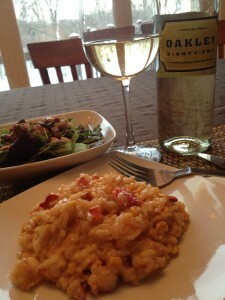 We enjoyed this along side of a wonderful white wine that our Uncle Ron gifted us! It was a terrific pairing!